230.7000 Contract facilities capital estimates. 230.7001 Use of DD Form 1861.
rates to appropriate overhead allocation bases to determine contract overhead costs. 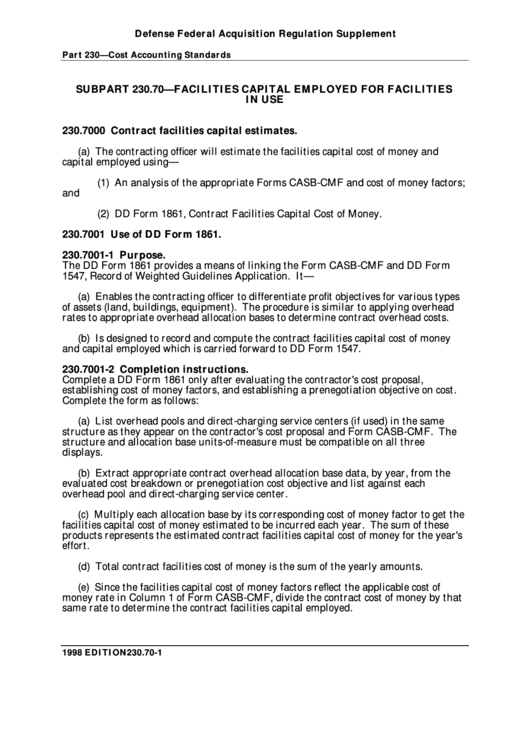 and capital employed which is carried forward to DD Form 1547.
establishing cost of money factors, and establishing a prenegotiation objective on cost. overhead pool and direct-charging service center. (d) Total contract facilities cost of money is the sum of the yearly amounts. same rate to determine the contract facilities capital employed.